I had to post this, fill in your own caption. Dog to motorcyclist: 'You'll rue the day Daisy dumps you like you dumped me, and you'll end up broken and dejected, drinking Woolite alone in the gutter." "At least you're not making me ride on a stock K bike seat." Dog to human. 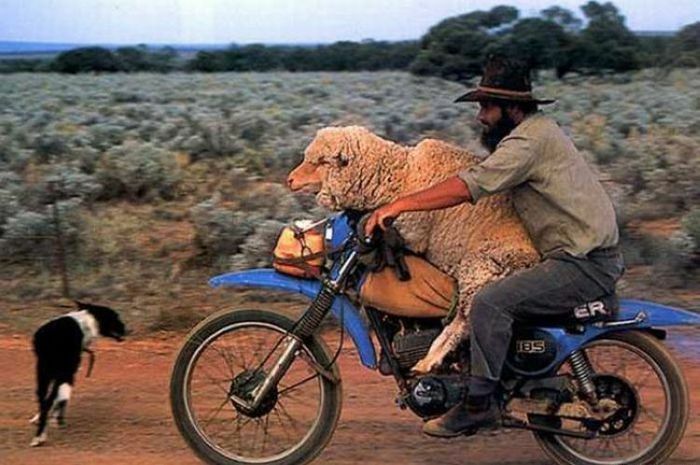 I told you to get a sheepskin cover not a sheep you moron. 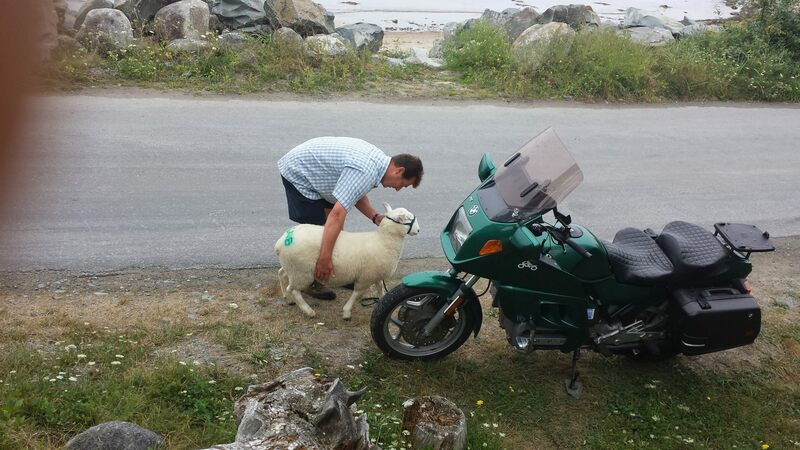 "Where men are men and the sheep are afraid"
@MartinW wrote: I had to post this, fill in your own caption. "Takin' this saddle cover back to the shop, I don't think it's properly cured!" @88 wrote: "Takin' this saddle cover back to the shop, I don't think it's properly cured!" I was thinking about something in the same line and was looking for this pic of my K100.